international women’s health and development spanning three decades and all continents. Claudia is a midwife and ethnobotanist, who studies traditional ecological knowledge, women’s reproductive health, and sustainable agriculture. 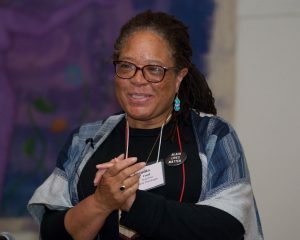 Dr. Ford is on faculty at Rhode Island School of Design where she teaches Women’s Studies, Indigenous Knowledge, Environmental Literature, and Environmental Justice. 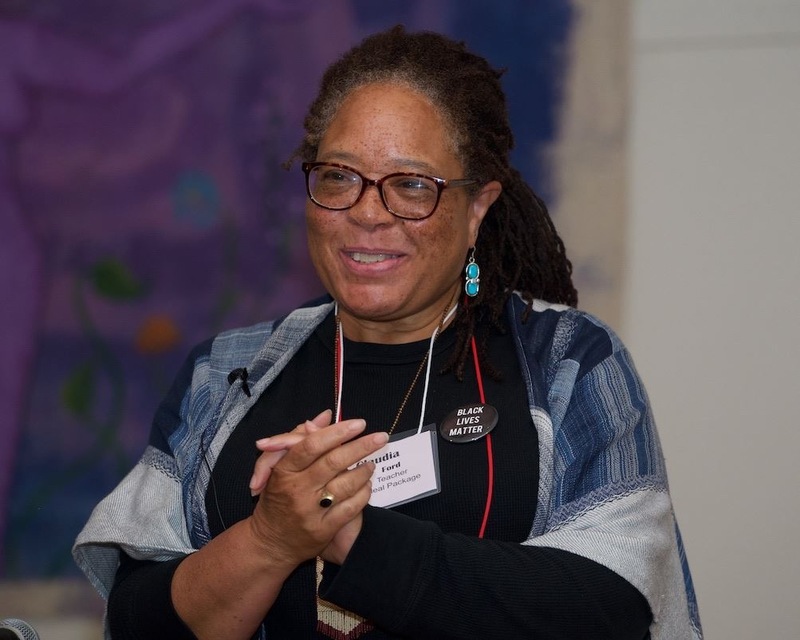 Claudia serves on the boards of The Orion Society, a community that publishes Orion literary magazine, and the Soul Fire Farm Institute, committed to ending racism and injustice in the food system. Claudia is the director of an on-farm artists’ and herbalists residency program, Tisané at Maple Homestead Farm, and she is a writer, poet, and visual artist; a single mother who has shared the delights and adventures of her global travel with her four children. the lived, land-based, traditional knowledge of indigenous peoples and communities of color. Many herbalists strive to understand and represent transformed relationships with the plant world but struggle to understand and collaborate with diverse ways of being in human society. This workshop will provide an opportunity to review, discuss, and reflect on the task of unlearning, learning, decolonizing and reclaiming the stories of herbal medicine.